Caleb was like any other nine-year-old, living with his mum Suzanne, step dad and four older brothers and sisters in Port Macquarie. But in late July 2015, Caleb started getting sick. He would suffer from headaches during the night and wake up most mornings vomiting and looking very grey in colour. The unusual thing was that by mid-morning, Caleb would come well again and his symptoms would subside. He was taken to his local GP, but after several blood tests came back clear he was sent to a paediatrician for further checks. The paediatrician performed some balance tests and Caleb seemed to struggle to carry them out. As a precaution, he was scheduled for an MRI a few days later. The day of the MRI arrived and Caleb had his scan that morning, expecting to get his results in a couple of days. By 12.30pm, his family received a phone call from the Hospital asking if they could come back for an appointment the very same day. Immediately Caleb’s parents knew that something was wrong and returned to the Hospital to find out what was going on. The MRI had revealed a cancerous tumour in the back of Caleb’s head. From that point on, everything moved very quickly and the family found themselves in a situation that they could never have imagined. 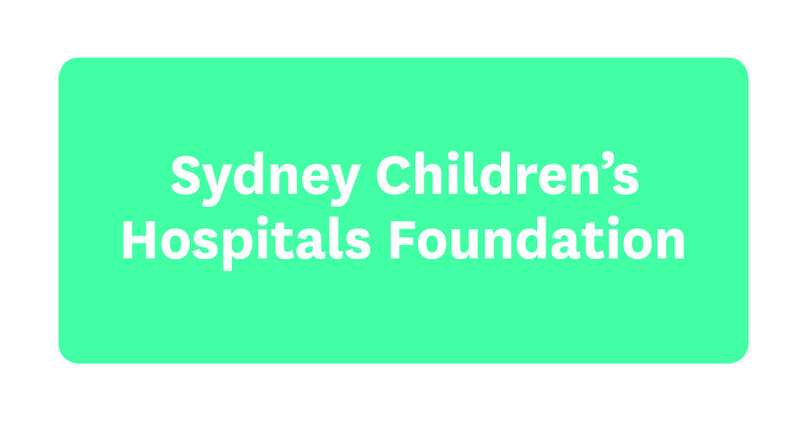 Caleb was immediately referred to Sydney Children’s Hospital, Randwick, and flew out the next day. Upon arriving at our Hospital, he was admitted to the Neurology Ward and scheduled for major surgery just three days later. The family barely had any time to think or prepare before Caleb underwent an eight hour procedure to remove the tumour. Caleb then spent 24 hours in the Intensive Care Unit and the family were told that even though some of the tumour was too close to the brainstem to be removed, everything was looking good. Caleb’s recovery from surgery was incredibly confronting. He was weak on the right side of his body and had a droop in the right side of his face. Caleb began extensive occupational and physical therapy to help him regain the movement he had lost. A few weeks after surgery, Caleb started a six week course of radiation. By the time this part of his treatment came to an end, he had been in the Hospital for three months straight. After a six week break over Christmas, Caleb needed to start chemotherapy. His mum, Suzanne, said witnessing this was particularly scary and knowing it would need to continue for the next seven months was an extremely daunting prospect. 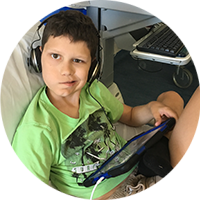 Caleb is receiving his treatment through a clinical trial run at Sydney Children’s Hospital in collaboration with leading international cancer centres. This has meant that his tumour has undergone molecular profiling, and his treatment has been tailored to give him the best possible chance of a cure with state-of-the-art therapy. Caleb has now completed chemotherapy but comes back to the Hospital for regular check-ups. Although he still requires a wheelchair at times, he’s walking again and goes to school when he feels well enough. Suzanne left her job to take care of him and she says that handling Caleb’s condition is now part of normal life.